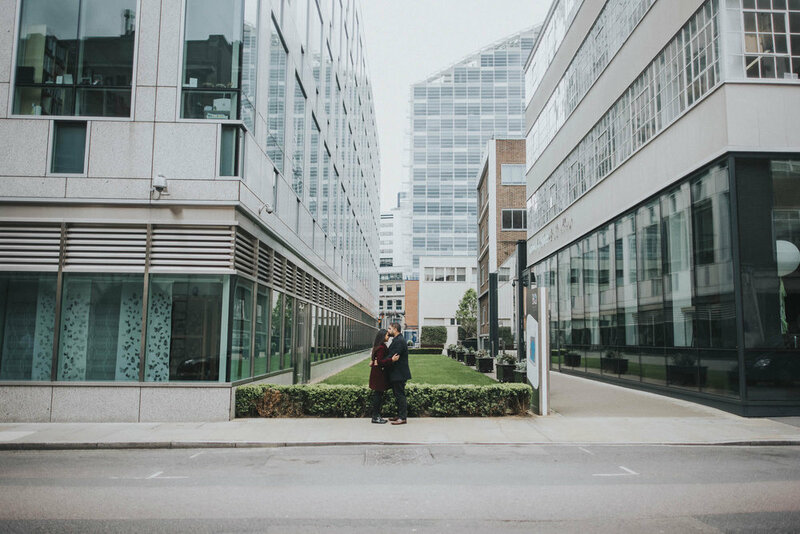 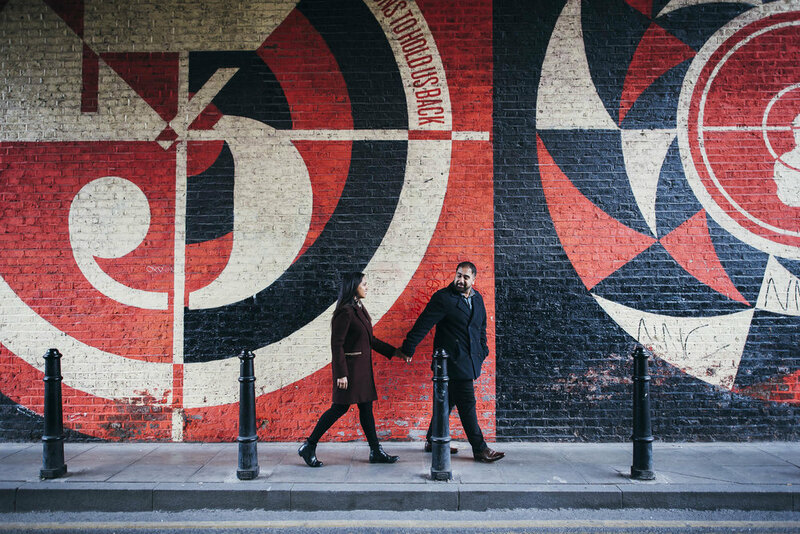 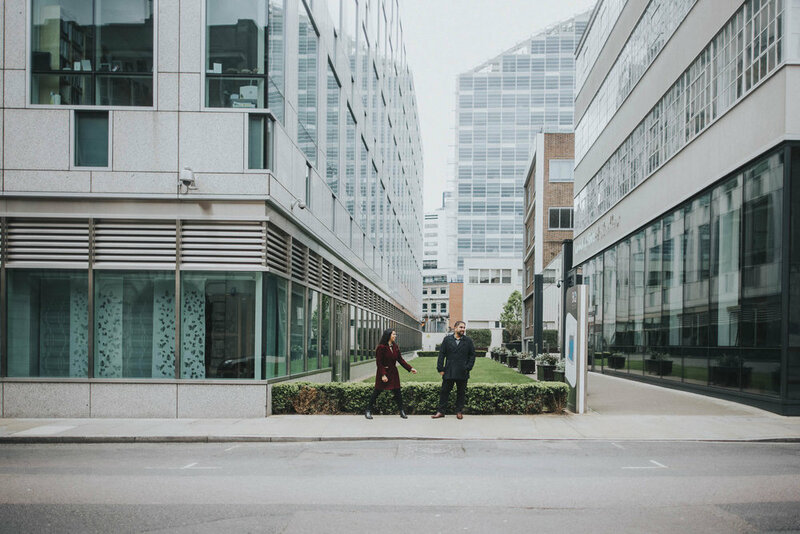 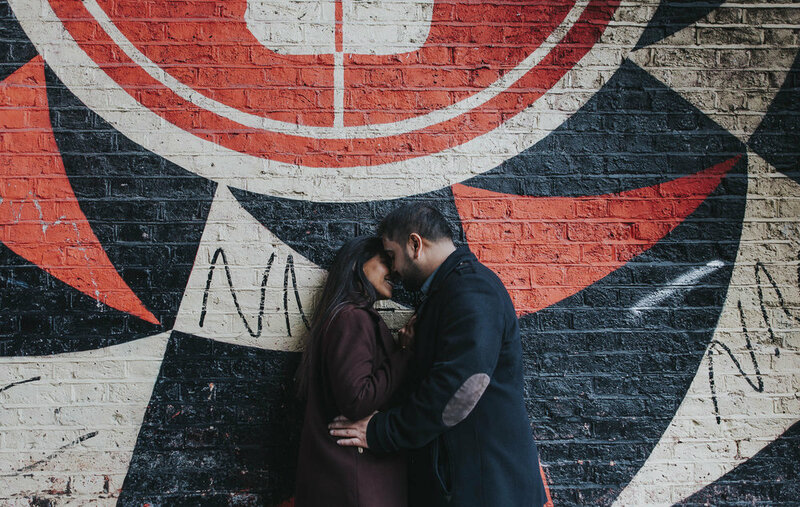 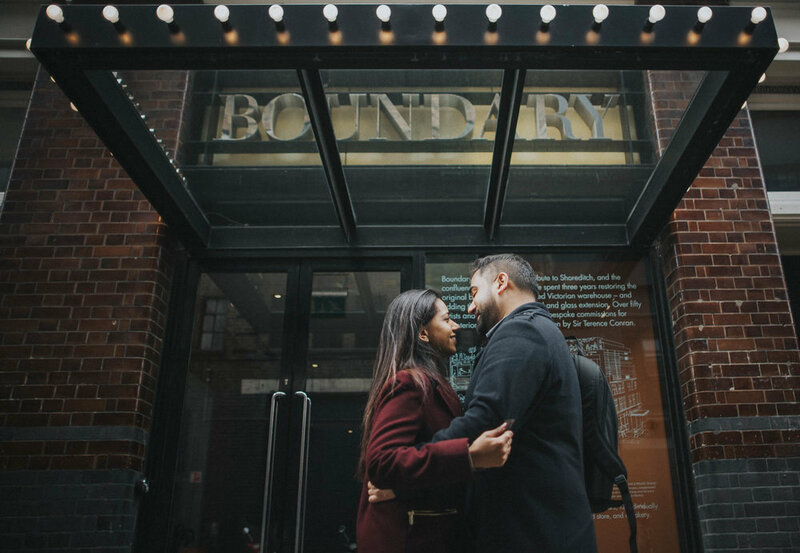 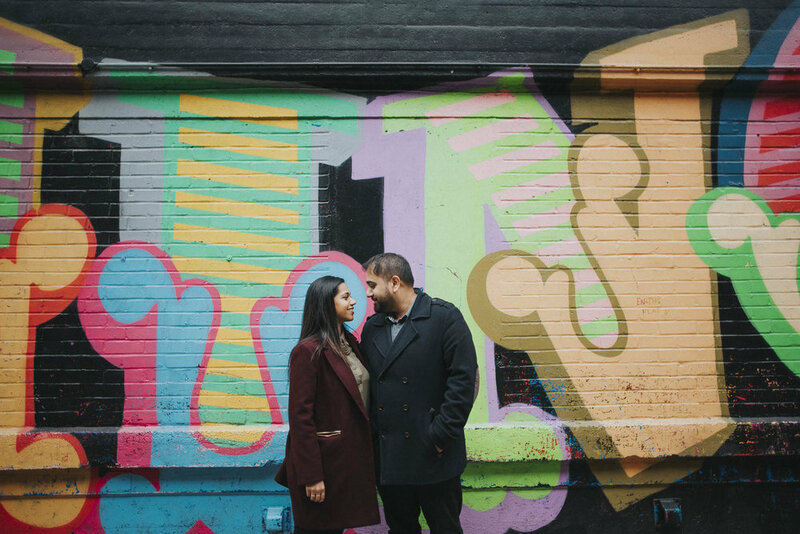 Sheetal & Vishaal get married in September this year at The Fennes Estate, Essex and with them both living and working in the Capital, we decided London would be the perfect place for us to meet up for a chat and to document their pre-wedding shoot. 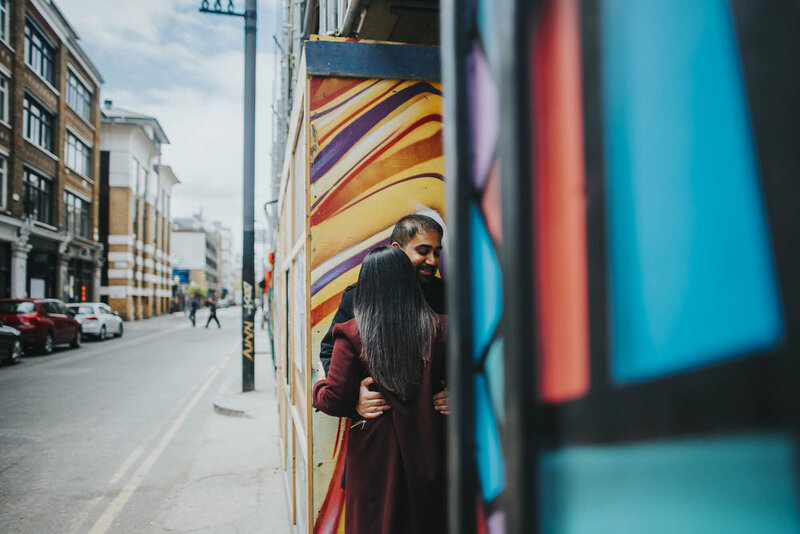 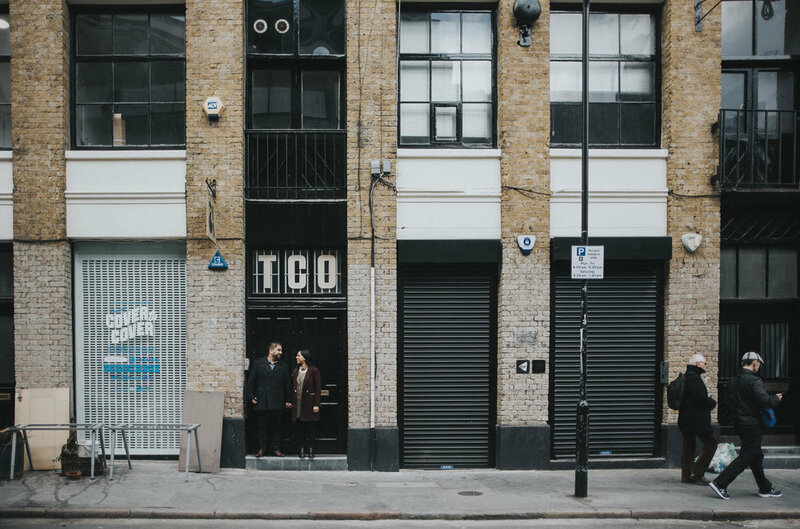 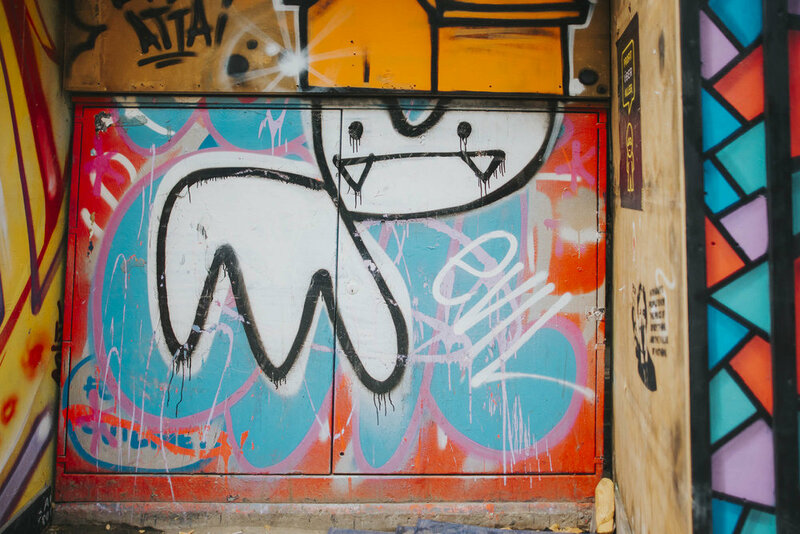 We had a fab day wondering around Hoxton & Shoreditch, laughing and chatting about their upcoming wedding, and it was so wonderful to find a couple of likeminded souls, as we shared our love of architecture, symmetry and the relationships of nature and urban environments, along with our love of pubs and gin! 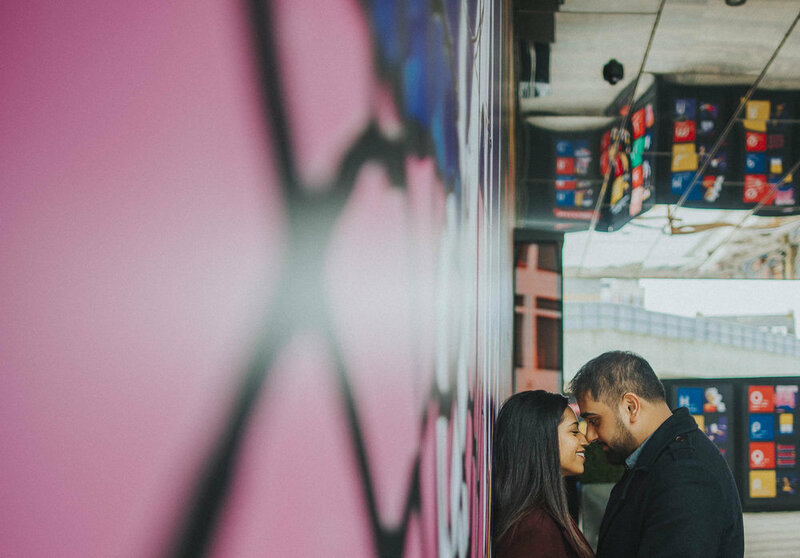 I can't wait to photograph their wedding, with them both being graphic designers, they've put in much effort, love and attention to the smallest details, it's going to be an awesome meeting of Anglo-Indian culture and decoration.